When I’m trying to squeeze in rides, get all my work done and organise all the other time-consuming things that life demands of me, sometimes eating proper meals or making wise choices when it comes to snacks can be a little difficult. I absolutely always eat breakfast as it’s my favourite meal of the day, and dinner is non-negotiable. But in between those meals, often anything goes, particularly when I get in from riding when I will chow down on anything. As I mentioned in a previous post, I’ve been trying to have better food on hand for when I absolutely must have something the minute I walk in the door, and I try to ensure it contains some protein as it’s good recovery food. 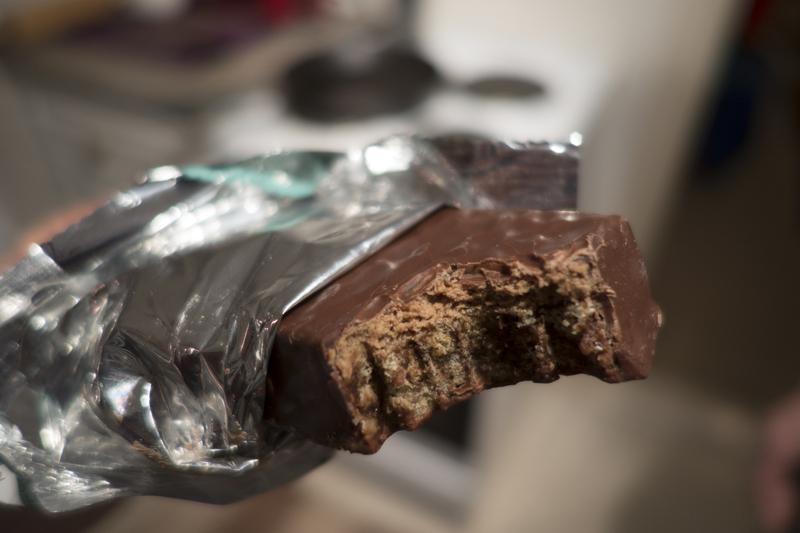 Clif sent me over a box of Builder’s Protein Bars to try, and I’ve found they fit these occasions very well. Unfortunately over here in the UK we don’t get all the delicious flavours listed on the US site – Cookies and Cream, S’mores, Vanilla Almond for instance – but we do get Chocolate, Chocolate Peanut Butter (which surely must be awesome?) and Chocolate Mint, which is what I’ve been trying. The 68g bars contain 20g of protein, a shedload of vitamins and no hydrogenated oils or artificial sweeteners. They’re also wheat and dairy free, with the protein coming from soy rather than whey. The next ingredient is beet juice, which supposedly has some minor performance enhancing properties. Along with the protein, the bars contain a fair amount of sugar in the form of brown rice syrup and cane syrup. Is 21g of sugar quite high? I’m not sure but they certainly taste good. The bars are really pleasant to eat, not dense or hard work to get through. Unlike many other bars, they don’t have a chalky texture. They have a generous coating of chocolate and the inside is composed of two different textures; a crispy puffed rice base and a chewy top layer. They taste really, really good, just as long as you eat them in a ‘normal’ way. Let me explain what I mean by that: I eat chocolate bars one ‘component’ at a time, for instance with a Twix I’ll nibble off all the chocolate around the edge, then I’ll eat the caramel bit and finally the biscuit. 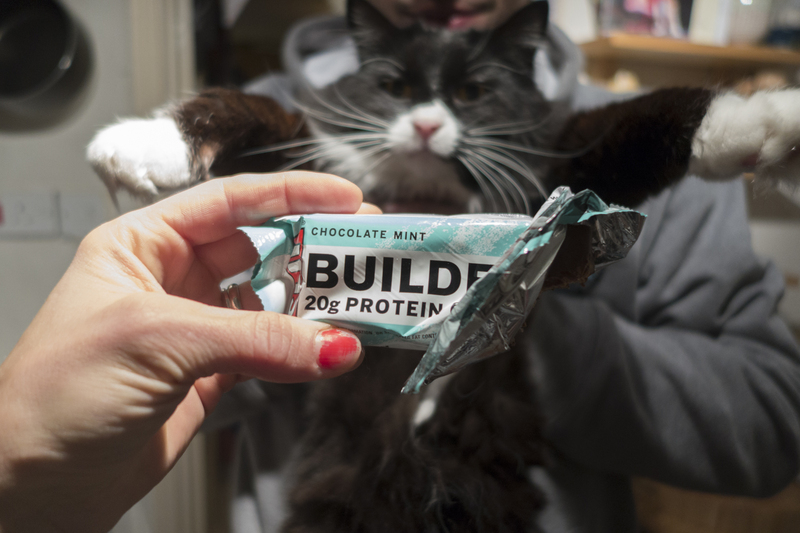 If you do that with Builder’s Bars, the chocolate is nice, the puffed rice is nice, but the chewy bit all on it’s own reminded me of spearmint gum. Gross. So just take a bite like a normal person and they rule! I didn’t even like mint and chocolate together until I tried these.